Useful information: In order to provide you with better customer service, if you have no transportation, please inform us via email or give us a call until the 7th of March so as to pick you up from the port of Nafplio at 09:00 am. Meeting point: 09:00am for those who have no transportation- at the port of Nafplio. ** extra charging: In case the participants are too many, there is a mini bus renting solution. The extra cost will be +8.00€ per person. 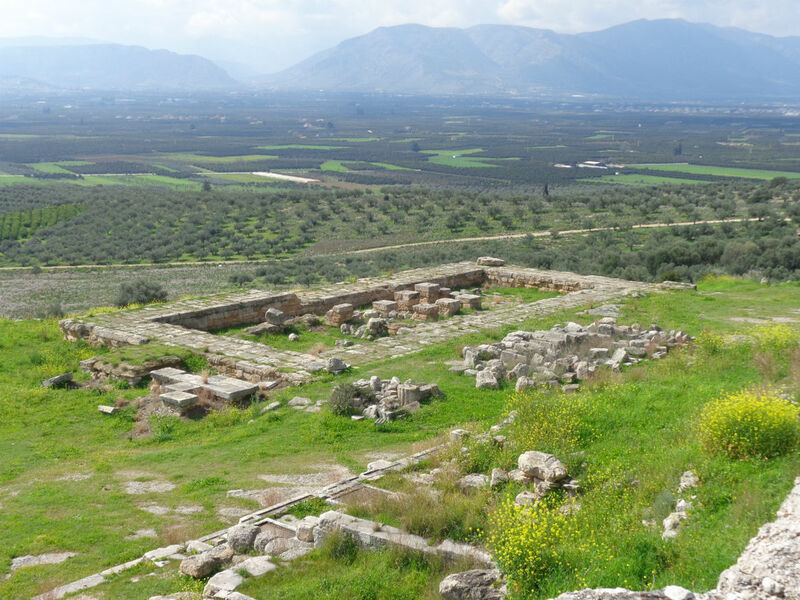 Includes: 1h guided tour in the archeological site of ancient Heraio, 4 h hiking tour. The entrance of the archaeological site, of Ancient Heraion is free of charge. General instructions : The route is easy and suitable for beginners & children older than 9. You should bring with you a bottle water, a hat, be equipped according to the weather conditions, sports shoes, and your medication if there is any medical history. **For any further information do not hesitate to contact us. 13:30 am: Optional break for a picnic at the spring olive fields. Everyone is responsible for his own food.